We live 6 miles from Sutherland Springs, Texas and on a hot Sunday morning in November, a mentally deranged individual decided it was time to kill people and walked into God’s House and slaughtered 26 Christians and wounded 20. This is the epitome of pure hate! I have always thought that if any mass murder, terror attacks, etc came to South Texas it would be in San Antonio where the military bases are. I never felt that living in the country between two very small towns we would have to worry about mass anything. Clay is a retired SA Fire Fighter and I am retired Federal worker. I remember before we retired in 1999 that he told me they were beginning to train for mass incidents. We just never believed it would come so close to our little rural Wilson County. So peaceful and quiet, although much busier than 21 years ago when I moved here. The little Community of Sutherland Springs, Texas did not do anything to deserve this horrible man made disaster. So sad and shocking to me. Now there are countless people who have lost family, loved ones, friends, children to this madman. Our hearts and prayers go out to all the individuals impacted by this brutal attack and we ask that God help the survivors heal and that those who lost loved ones, family or friends. I find myself constantly asking myself where has my America gone? What has caused this country to go so bad? What has caused all the anger? What can be done to stop the craziness? I can answer those questions, can you? I was born during WWII, experienced Korean War, Cuba, lived through the riots of the late 1960’s and the Civil Rights era, Vietnam War, Iran and terrorism beginning in 1979, the Lockerbie bombing in the 1980’s, hijacking of airlines, Bush 41 Iraq War, all the killing of our Military in the 1990’s, 911, and the Iraq war. But even through all of this the country stayed together until 2000. Now this country has gang problems, drug problems, social problems, and individuals who have mental issues that are not treated. Rather than discuss political issues in a peaceful way the way it was before 2000, it appears that the choice is to destroy business, be hateful to people who do not agree with our beliefs, disrespect our American Flag and way of life, call White people Racists or White Supremacists (which is NOT true), or remove our great American History from the record books. History will repeat itself if we do not remember how we got here in the first place. But whatever is causing the killings of innocent people it must stop and Americans must take control of their own environment by becoming more observant, and not be politically correct, nor ignore family members who are exhibiting strange behavior. There are two Heroes who have emerged from this disaster, the young man who drove the truck with the gentleman who shot the madman. May God Bless them also. We need more individuals like this in our Country. This is not meant to be a political statement, it is a statement of fact. I do not have the answer, the genie is out of the box and now it is up to God to help this country return back to some type of normalcy! May God Bless those Souls who are now with him and the family, friends, loved ones left behind to pick up the pieces. My heart goes out to you! Well, here I am another year older – really do not feel any different – if the weather would either stay warm or just get cold I would feel younger! LOL. I am a Halloween baby born 2 minutes to midnight! I have had the best birthday of all this year. Sunday my adopted daughter (Clay’s daughter) came over for a pre-birthday celebration. 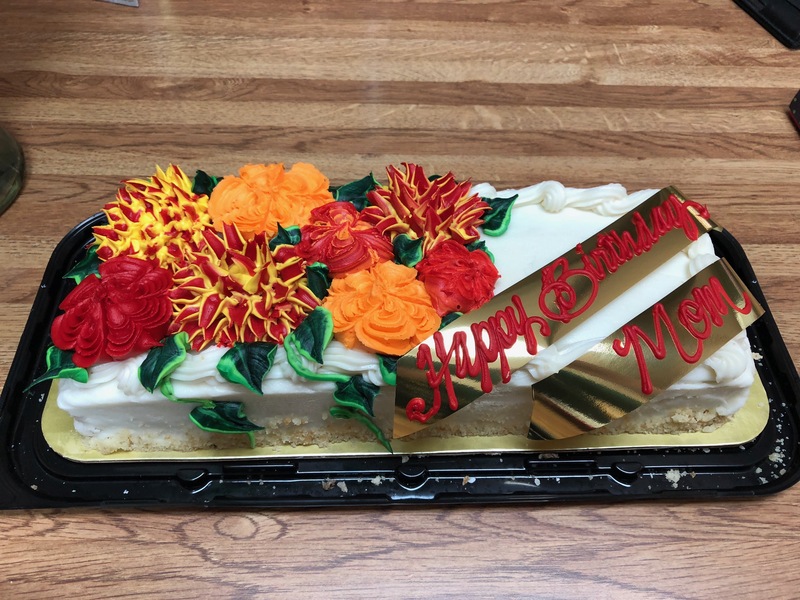 She brought me the most beautiful flower arrangement, a wonderful Italian Creme Cake (yummy), and a bracelet that has 5 charms on it. The most meaningful charm says, “Marriage Made you Family, Love Made You Our Mom”. 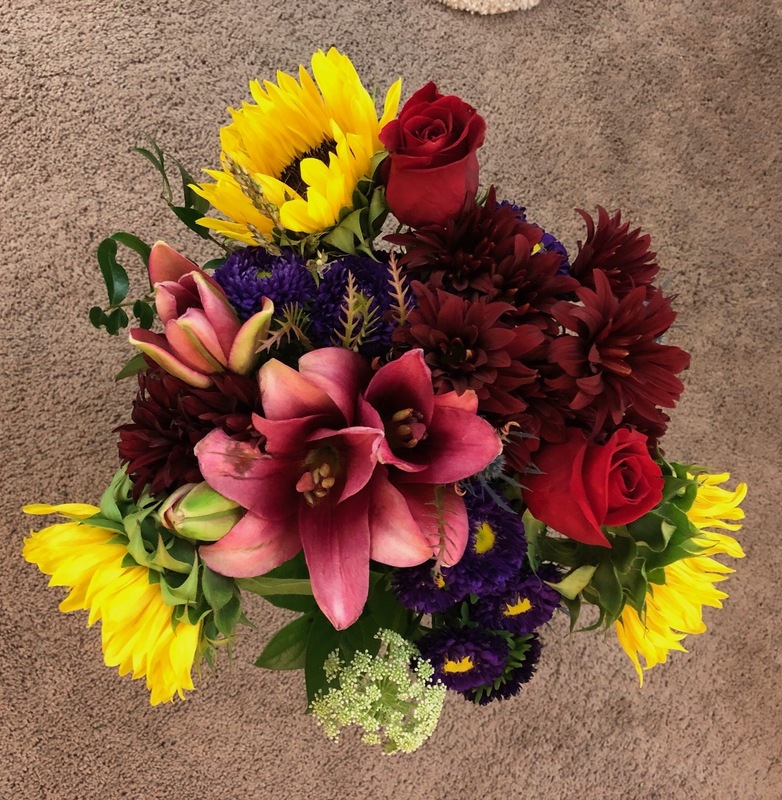 What a wonderful gift from a beautiful daughter. 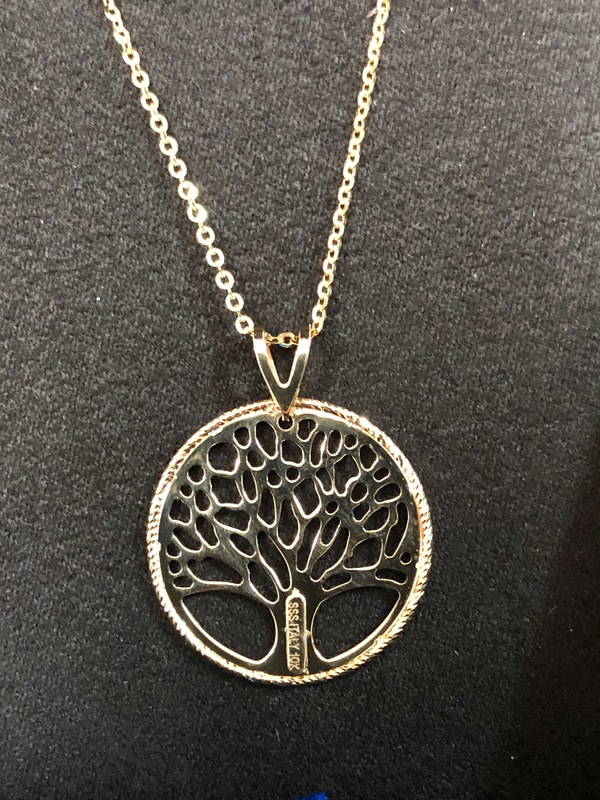 Clay gave me a beautiful gold Tree of Life to add to my collection of gold necklaces that I wear – each having a special meaning. I will say one thing after eating potato salad, beans, and boneless ribs and the cake – IT IS SERIOUS DIET TIME FOR ME! 15 less for Xmas, well OK, this may be difficult with a trip to Galveston and Thanksgiving will be a Mexican Food menu! Maybe by January 2018? 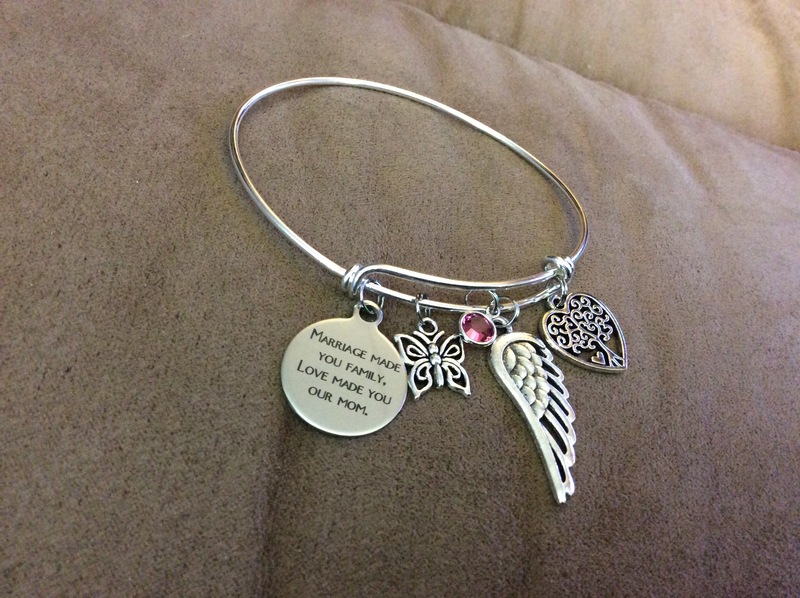 Beautiful bracelet, Charm, Butterfly, Birthstone, Angel Wings (she said I earned them) and a Tree of Life! 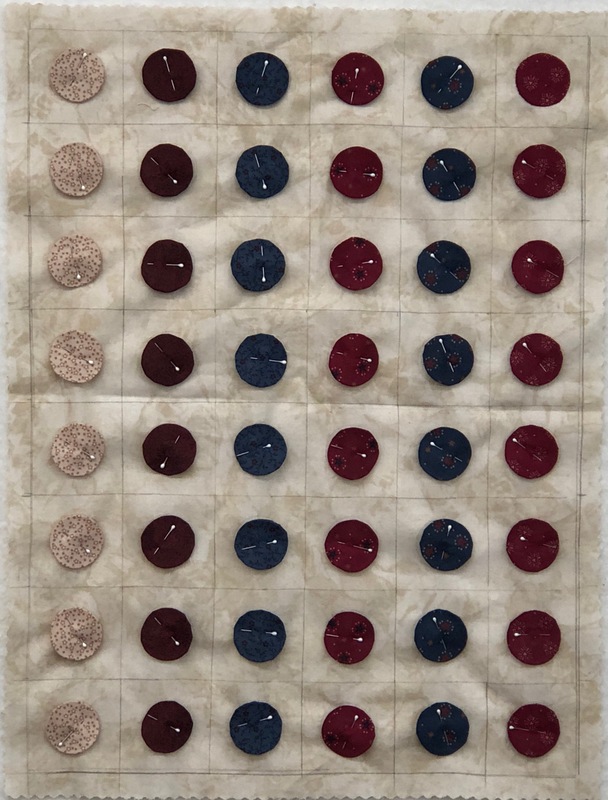 The “Cake” – So beautiful – Makes me want to make a Quilt! My Tree of Life from Clay the Sweetest Hubby in the World! 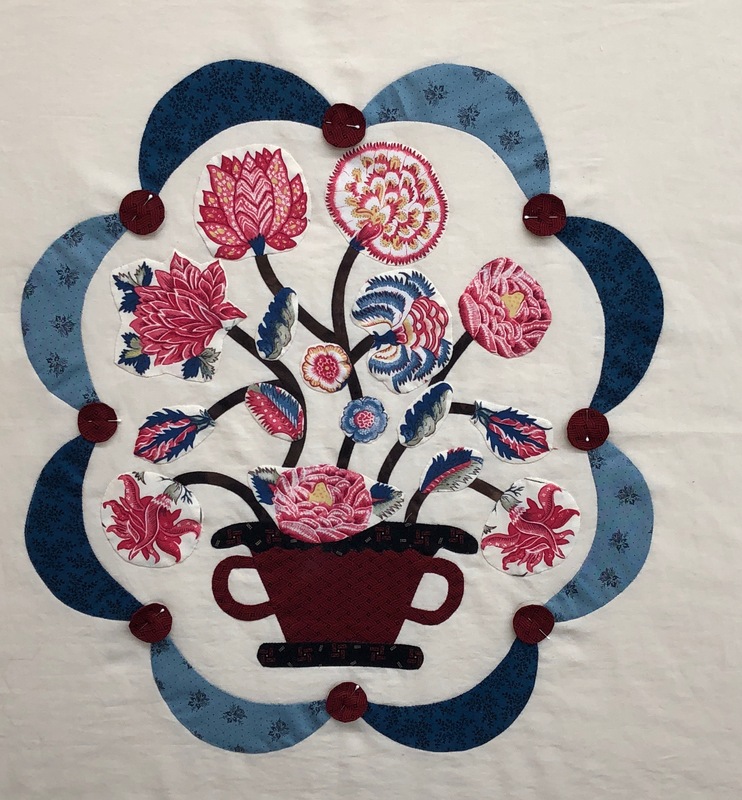 I received a great quilting book from Jaydee entitled Red & White Quilting , numerous cards, a visit from Cousin Kay who bought me a great Quilter’s sign from a Pennsylvania Quilt Store when she was on her “genealogy” trip in September to Pennsylvania. 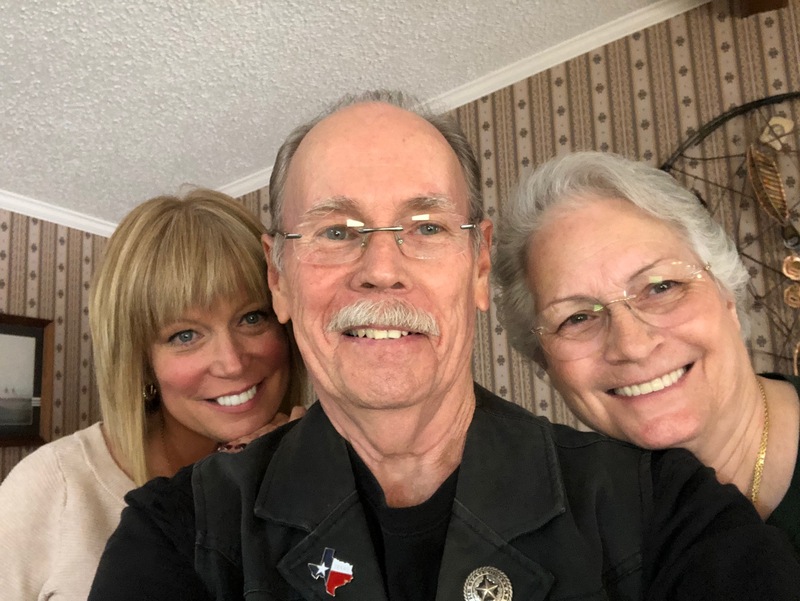 So turning 73 has been fun! Additionally, I have had about 31 days of sewing that has been quiet and absolutely no “unforeseen requirements” to resolve! 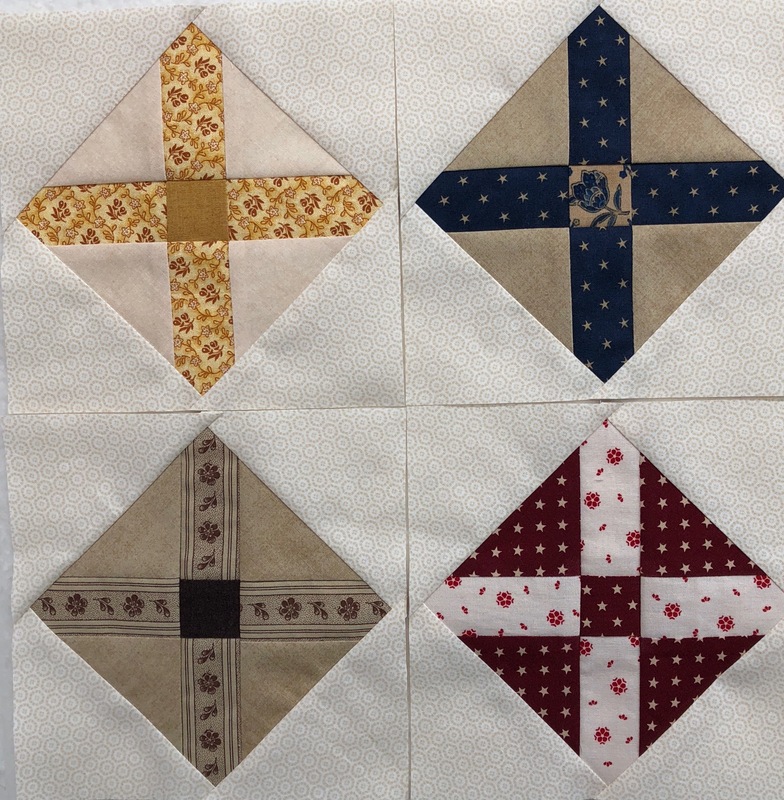 Back to a normal life – a good routine – and lots of sewing. I had mulled over this part of the pattern ever since I started looking at it in 2014 and keep thinking – hair pulling for sure. I am hoping the measurements are accurate!!! 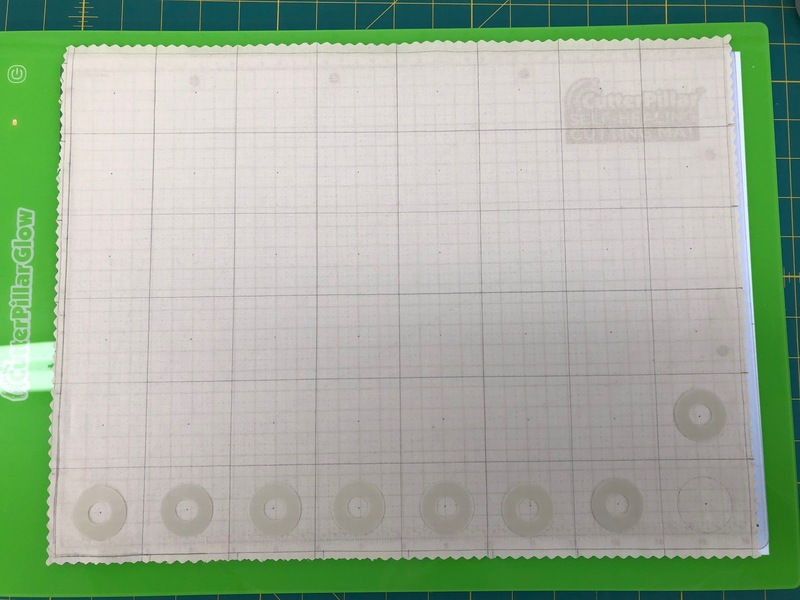 I took a 13″ x 13″ piece of background fabric and drew my grid and then trimmed the excess with my pinking rotary cutter! (keeps the raveling down). Then I thought about how to center each little circle accurate! I knew not to draw an “X” in each square because the marking would give me an issue. I found my plastic mylar with a grid and cut a perfect 2″ x 2″ square and punched a hole in the center with my stiletto. AH so nice to have had the brain engaged for once and of course suggestions for the hole from Hubby! It has been awhile since my creativity has been with me – glad to have that buddy back in the brain! I will use Perfect Circles for these circles even if it takes me a little more preparation time! 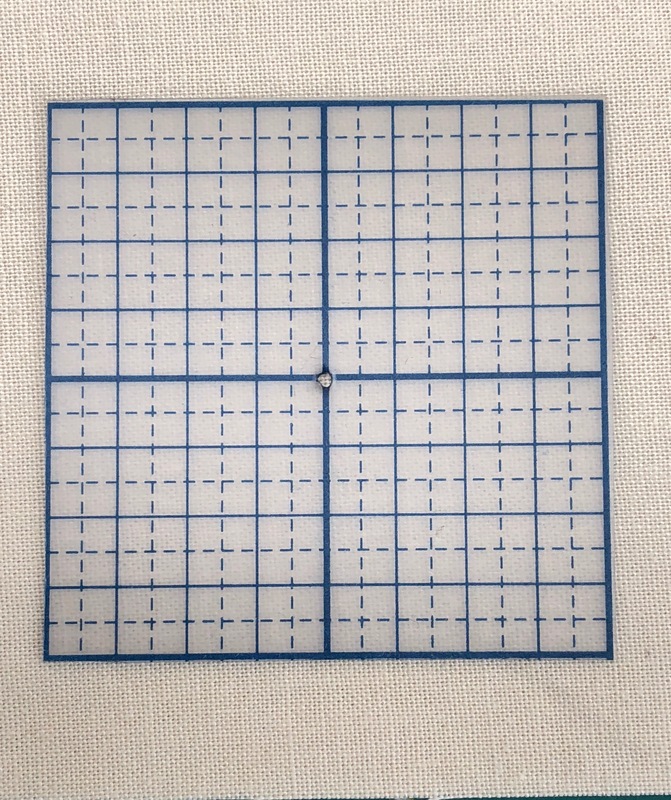 My 2″ square-cut from the Grid template sheet – with a nice little hole to mark the centers! 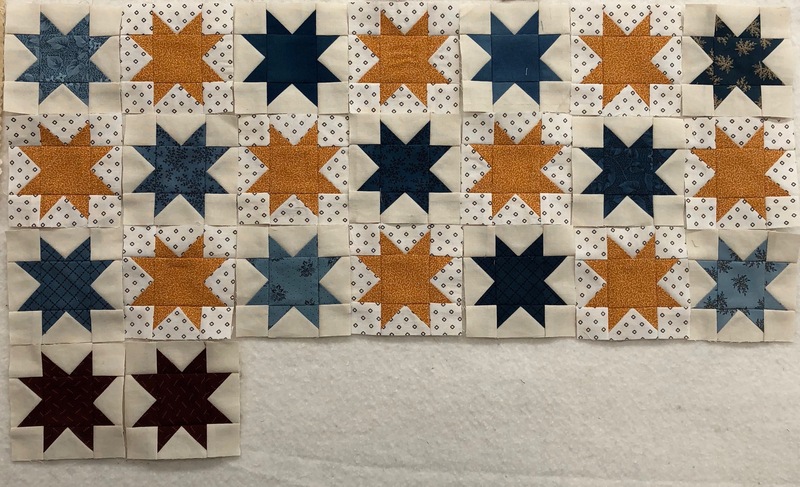 Taking a break from MM I pulled out my 3 1/2″ Stars and Churn Dash blocks. 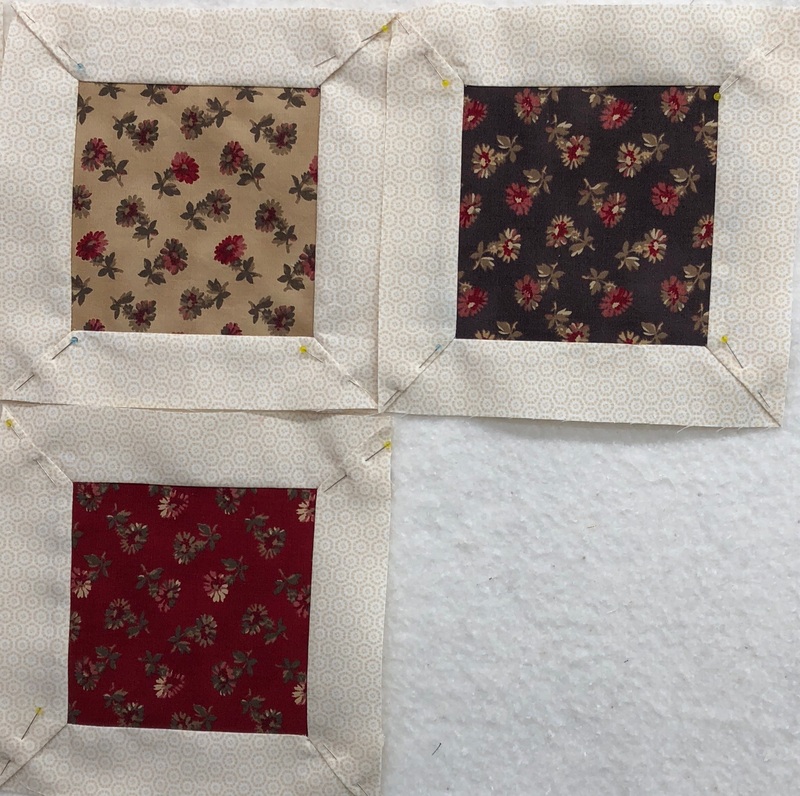 I am not sure if these will be part of MM or if I design my own Medallion Center and use them in that quilt! I love making these blocks. I quickly realized that I need the stars to have plain backgrounds so I would be able to mix and match! 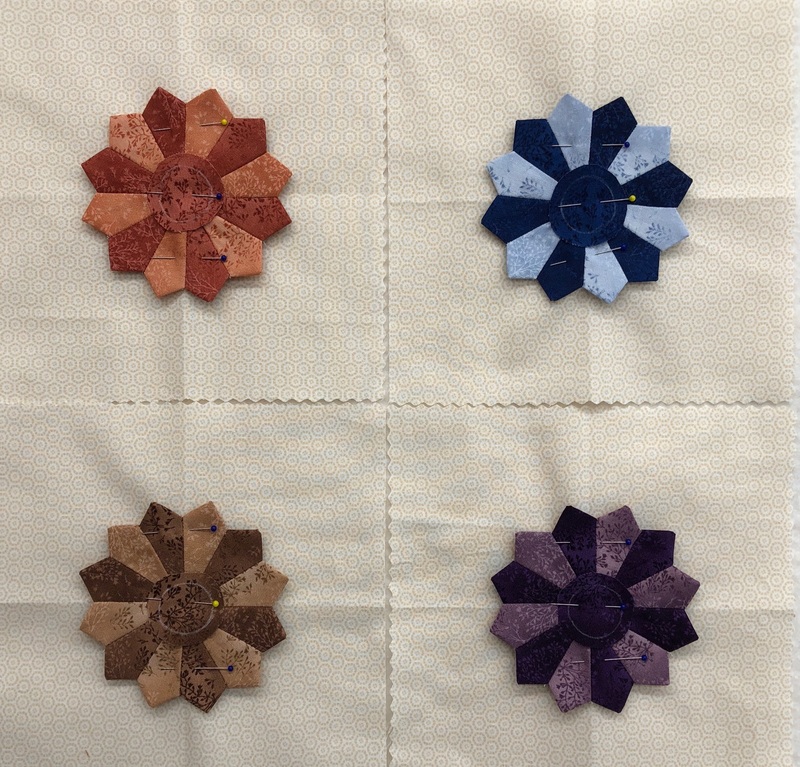 I started on some maroon stars to match the Churn Dash blocks (30 of them) that are already finished. I really love the gold and blue together! 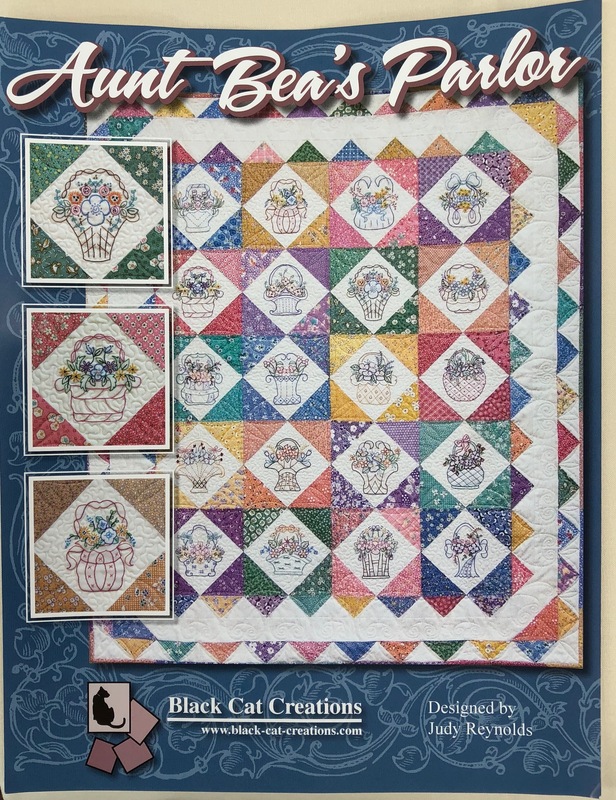 My next project to prep will be Aunt Baa’s. 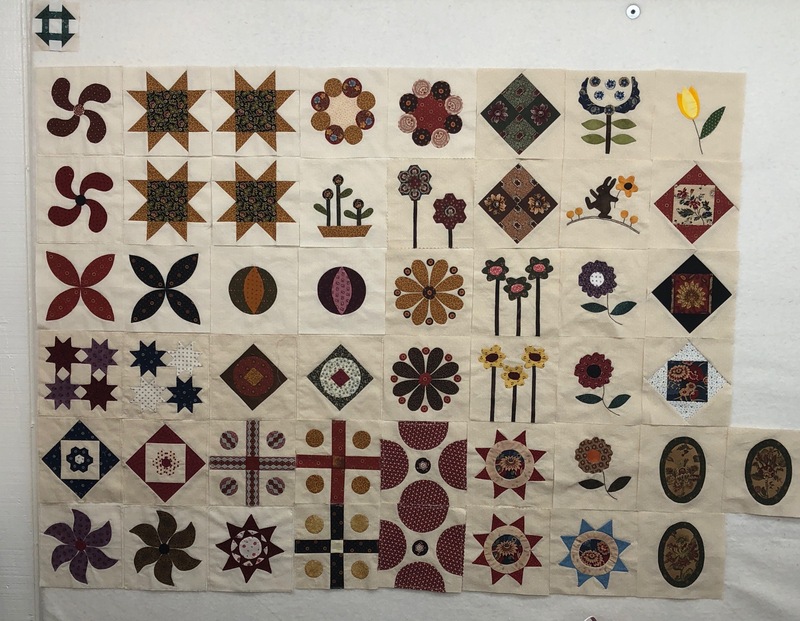 I have been following Laura’s Blog during my “recoup” time and I have been itching to make this quilt for over 6 months! 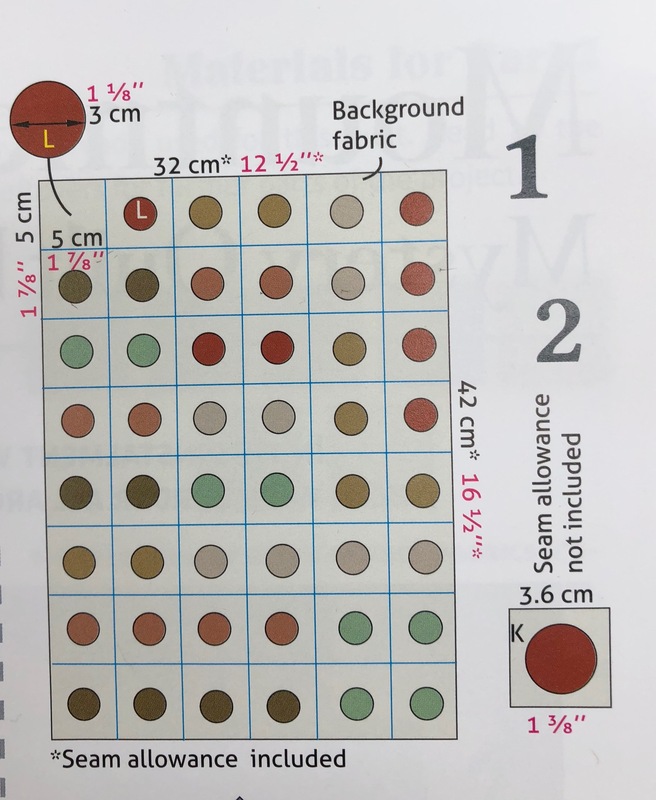 I will at least get the freezer paper patterns printed off and as I have a little time I will trace the patterns on the background fabric. I have a boatload of the 1930’s fabric that I did not use for the 1930’s Farmer’s Wife project (too many issues with that one). 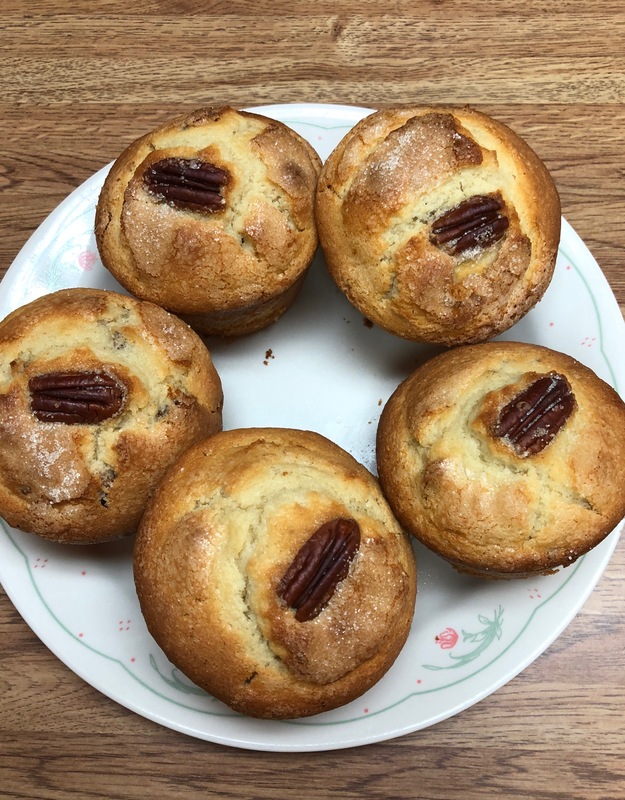 Ever have one of those days when you really feel that you will be in that sewing room sewing up a storm early but only to find out that it takes longer than you think to walk, have breakfast, do a post, balance the checkbook (1 Nov) and clean up other paperwork? Is it because I aged over night? NO – it is the fact that I had a lot of “little” things to accomplish so now at 3:45 CST I will attempt to go play! Tonight will be hand work and tomorrow will be an early start on my projects! Yea!